Businesses of all sizes are looking to make the most out of their databases by doing more transactions, making faster decisions, and saving money. Flash memory is enabling all of this by enabling customers to slash costs and turn their database into productivity powerhouses. Visit us at booth 811 to speak with our solution experts and learn how SanDisk enterprise flash software and hardware solutions take your Oracle environment to the next level. 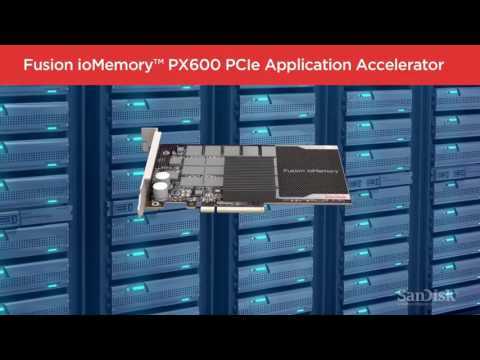 The Fusion ioMemory portfolio is the leader in PCIe application accelerators. Attend daily deep-dive sessions in our booth and learn how to do more with Oracle while getting great giveaways! Test out our tech. We’ll have 5 flash-optimized demos for you to check out in our booth. Talk next generation storage with our in-booth experts and discover best practices. There are always great prizes in the SanDisk booth! Don’t miss out. Visit SanDisk in booth 811 to see joint solutions with Cisco, Dell, and HP that flash-optimize your Oracle environment.